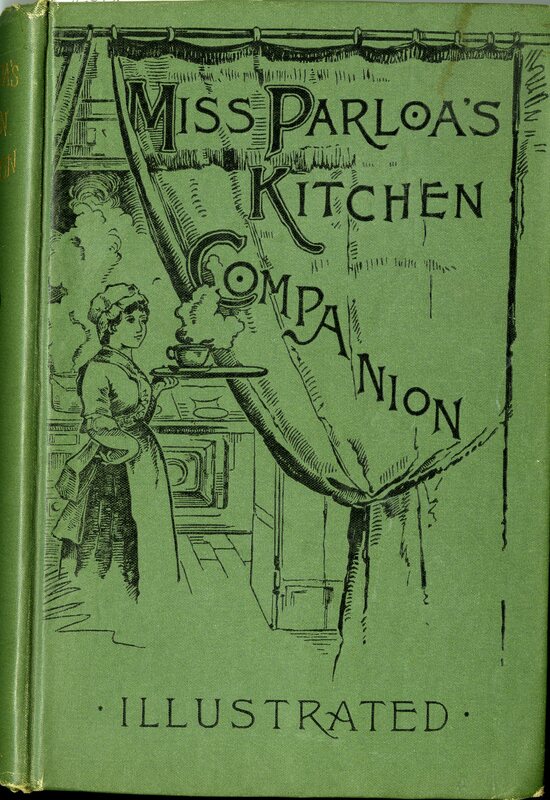 invalids – What's Cookin' @ Special Collections?! There’s been a big influx of culinary materials lately, which, as always, makes me want to write about everything. However, most of those items are still making their way to the shelves. So, instead I went an a stroll through the “R” call numbers. While most of your traditional cooking and cocktail materials are in the TX section, RJ includes Pediatrics and RM includes Therapeutics/Pharmacology. RJ is usually a good place to start if you’re looking for something non-traditional that relates to children’s nutrition–like this week’s feature! This is about 1/2 half of the pamphlet, plus a couple of the final pages–it’s the section that deals with caring for infants. 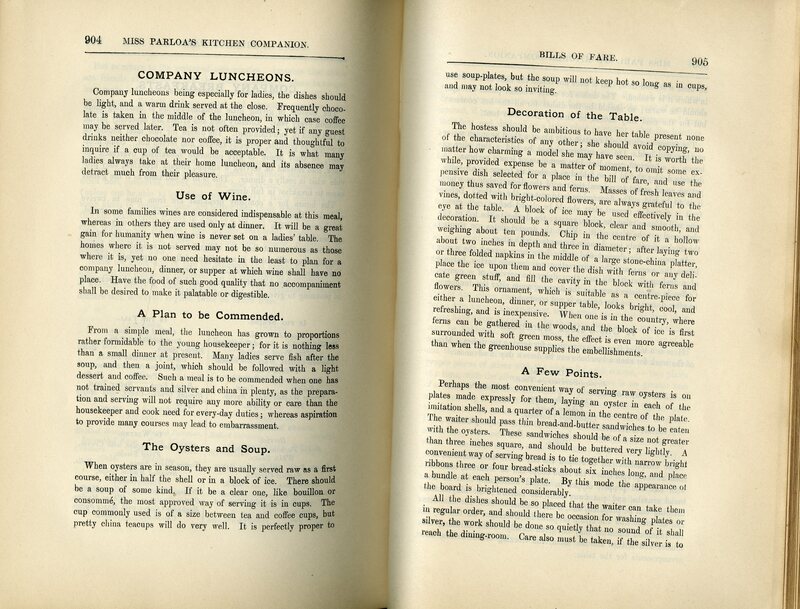 The other pages parallel the caring for infants in style, but are full of advice for caring for invalids. The end of pamphlet includes a reproduction of a hand-written product endorsement AND ads for the product that actually sponsored it. 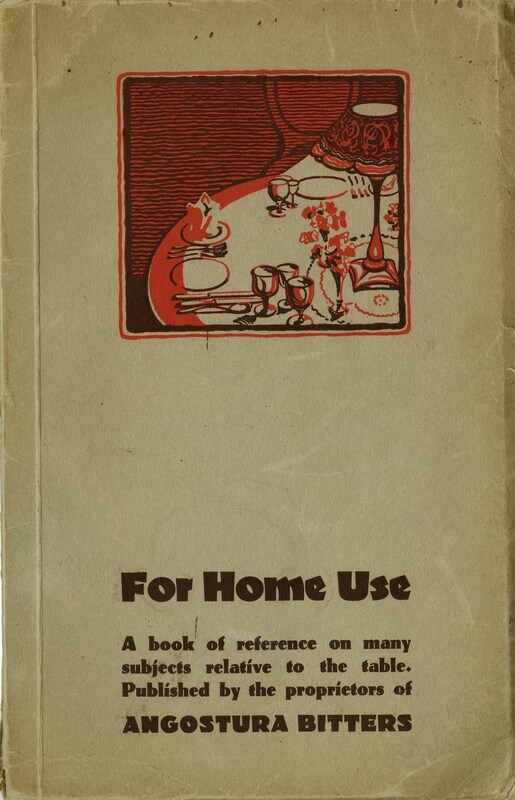 Unlike many other product pamphlets we’ve looked at before, this one isn’t laden with ads or not-so-subtle placement. It sneaks up on you at the end, instead, leaving us a final taste (pun intended, of course), of just the product that will help you properly feed both the infants and the sick or aged in your family. 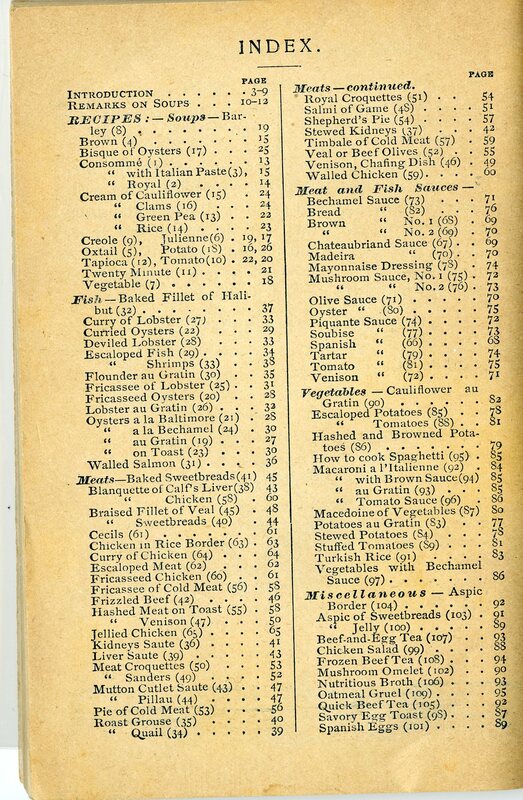 It’s a different approach from the “ads on every page/in your face” placement of some pamphlets from the era, but probably just as effective–Ridge’s Food may be the last thing you remember, showing up on the bright pink page, when you put the pamphlet down! 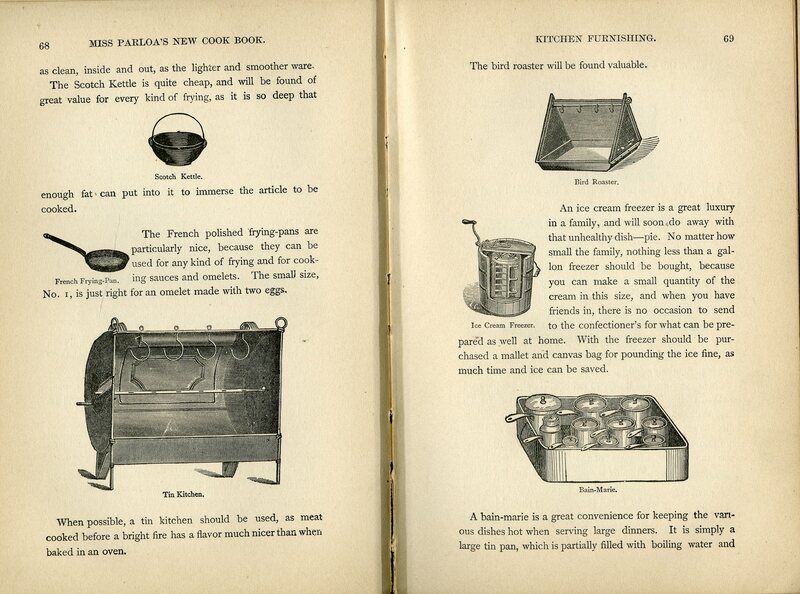 Since this item is particularly fragile, short, and out of copyright, I went ahead and scanned it all this afternoon. 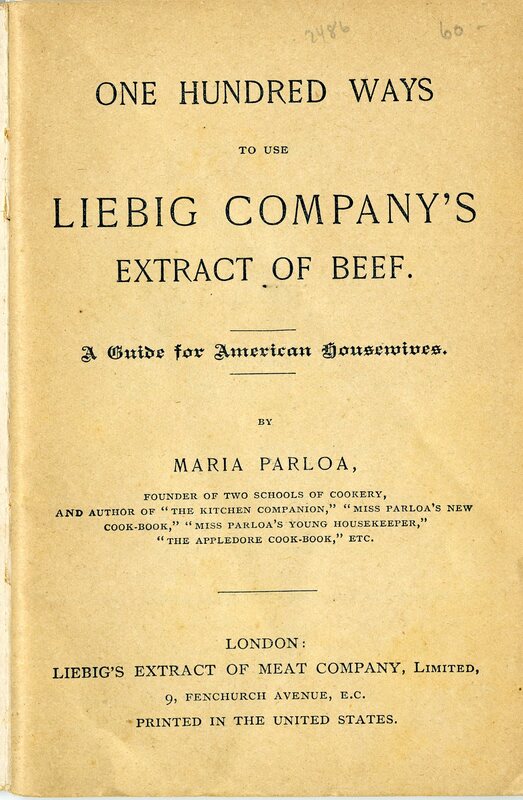 I’ve added it to our collection of other culinary-related books online, where you can read it in its entirety: https://digitalsc.lib.vt.edu/items/show/5540. On a completely unrelated note, I’ve updated a bit of out-of-date content on the informational pages of the blog. 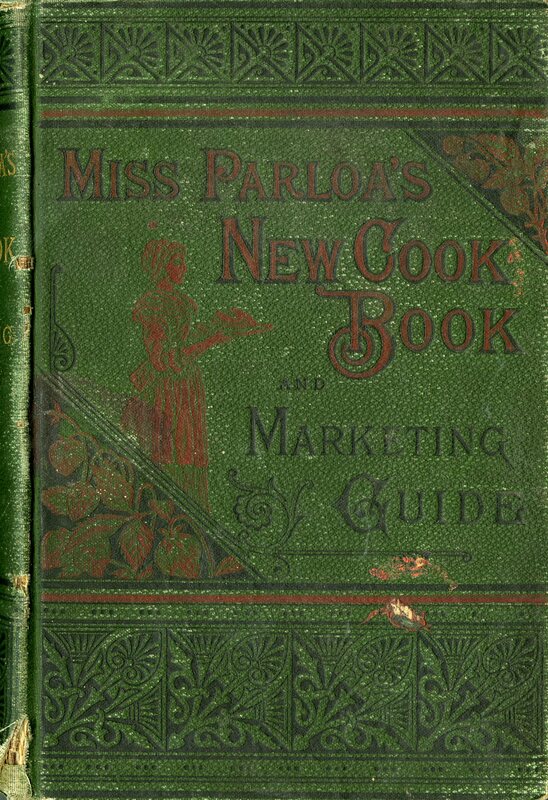 I’ve also included links to all the resources guides I currently have posted on the University Libraries pages that can help you locate materials relating to food, drink, & foodways! They are a great place to get started if you’re interested in doing research here at Special Collections! Last week I taught three instruction sessions relating to Special Collections in three days (which is a lot for me, who usually averages maybe three such sessions over the course of a single semester). 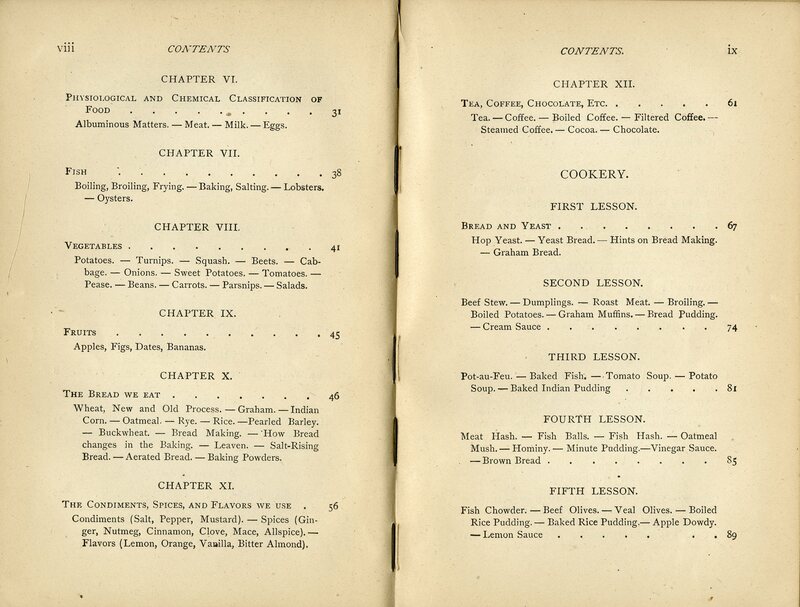 Two of those had to do with aspects of food history and elements of the third touched on the topic as well. 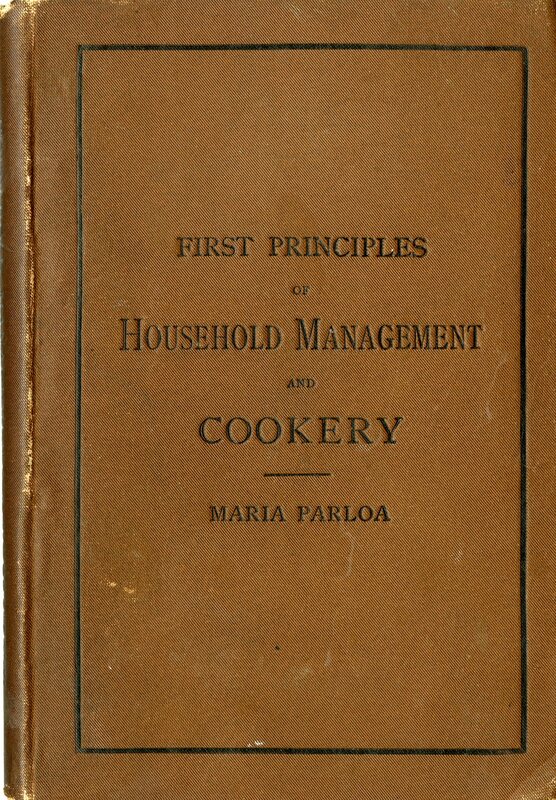 Add that to the guest lecture in another course about food history in late September, and the students from those classes who have followed up with me or the department to do research, and, when I can spare a few moments, improving and/or creating some new resources guides on some food and drink topics, it’s safe to say this is turning out to be a food history-full semester. You’d think all of that would make it easy to find something to blog about this week, but with so many items in hand lately, well, choosing is never easy. 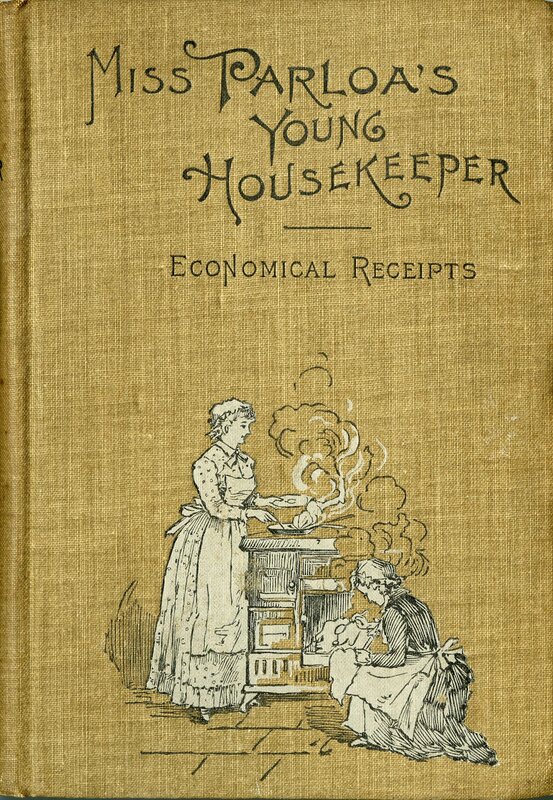 But, since I pulled several volumes by this woman and mentioned her in another writing project, I thought we’re revisit an author and educator we last featured back in 2014: Sarah Tyson Rorer. 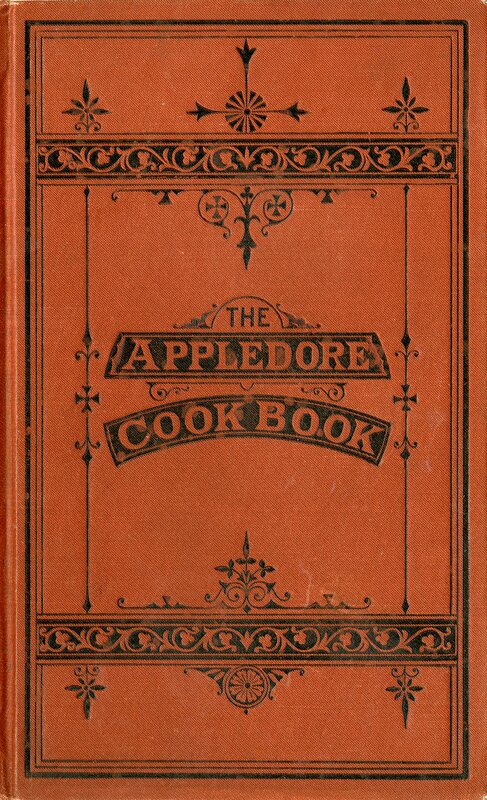 More specifically, her Mrs. Rorer’s Diet for the Sick: Dietetic Treating of Diseases of the Body, What to Eat and What to Avoid in Each Case, Menus and the Proper Selection and Preparation of Recipes, Together with a Physicians’ Ready Reference, 1914 (available online: http://digitalsc.lib.vt.edu/HFDBooks/RM219.R7_1914). 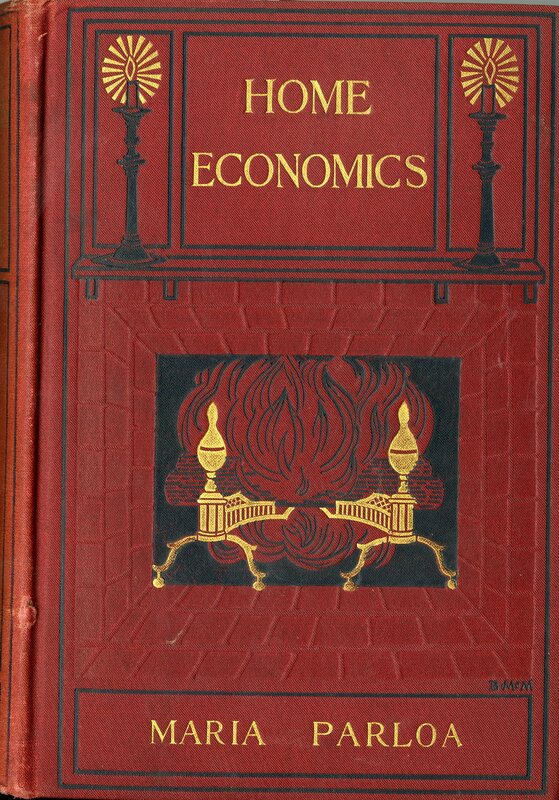 Below are the cover, title page, and two sample pages from the table of contents. This book has been written especially for the sick. 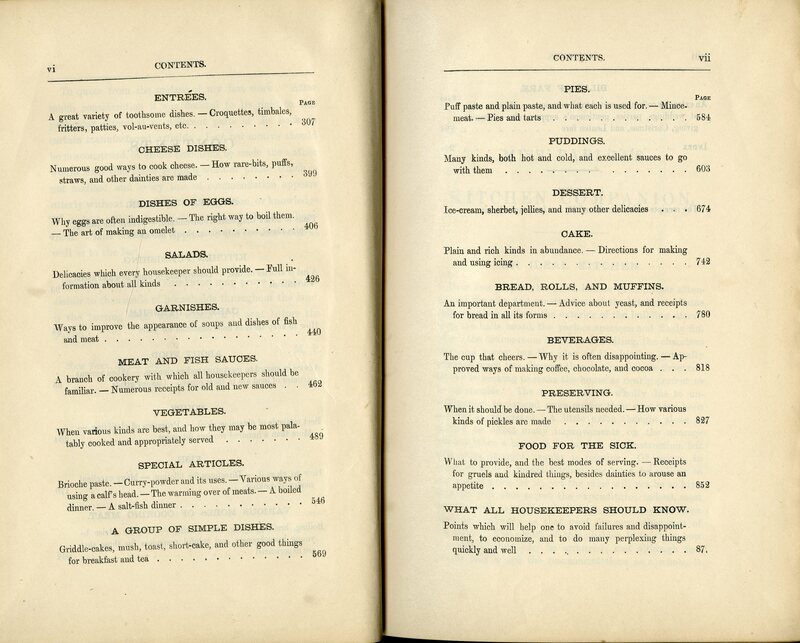 The foods here recommended for special diseases are not suited to the well…Simple, easily digested foods recommended for the sick are not necessarily good for even children or invalids; in fact, foods for the well and foods for the sick are not interchangeable. My sole desire in writing this book has been to assist those persons who must care for their sick at home, and the doctor and the nurse, without trespassing on the domain of either. In disease each case requires special attention, and the knowledge that comes from observation cannot be supplanted by any dictated rules. 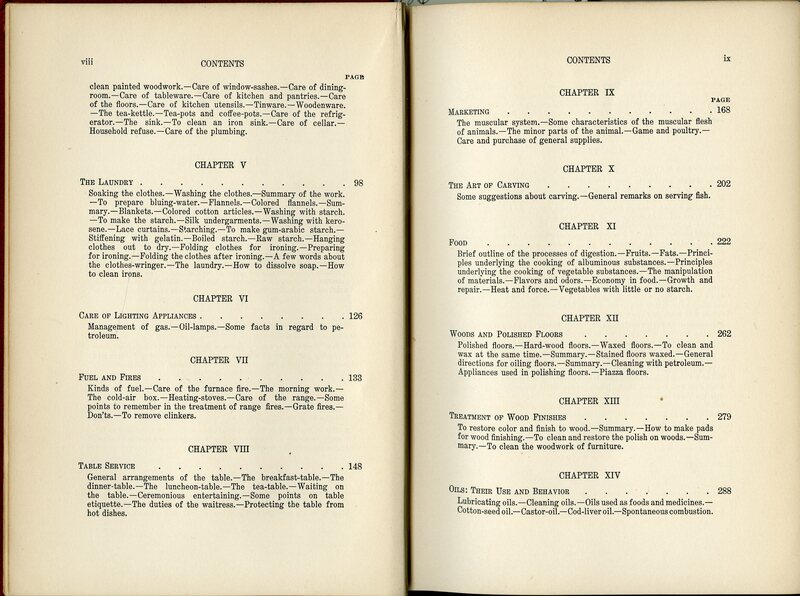 Book directions are valueless unless modified by common sense. 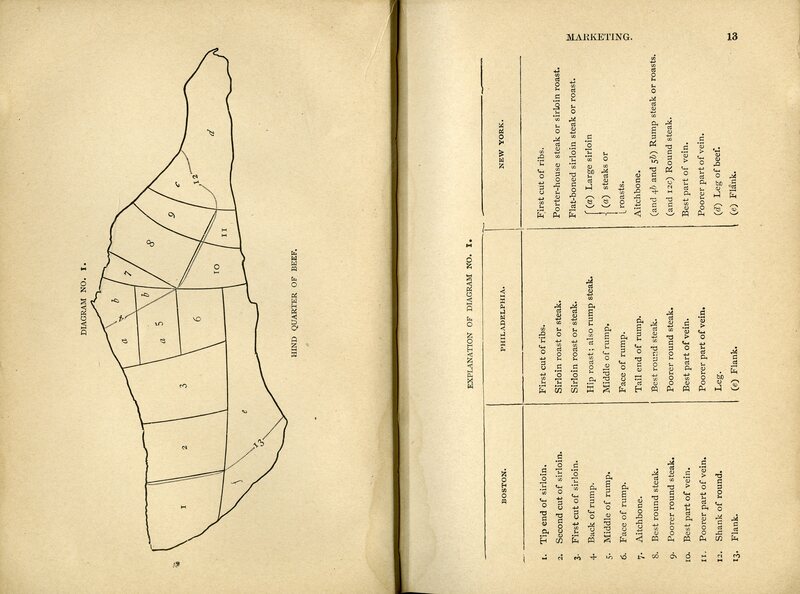 The fact of the matter is that, in this volume, Sarah Rorer has packed in the information. 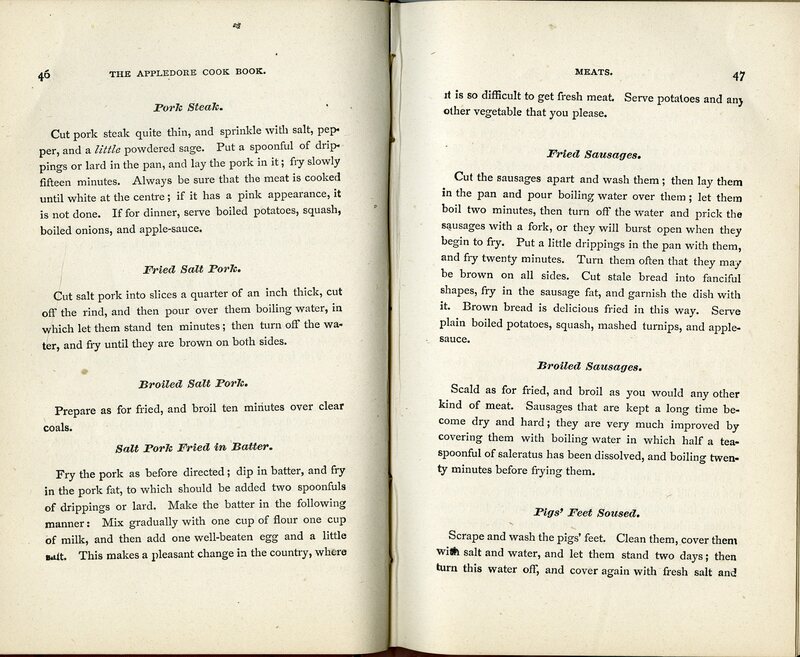 At well over 500 pages, there are suggested and restricted foods for a range of diseases and hundreds of recipes. There are a lot of things that make this book different. 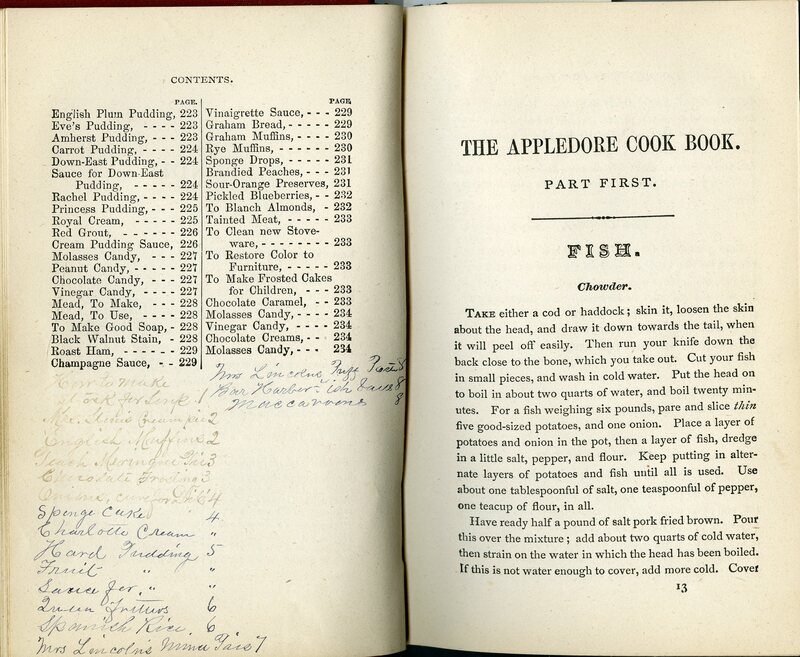 It isn’t usual for a non-medical professional to study up and impart this degree of food and medical knowledge in a book of the time period. 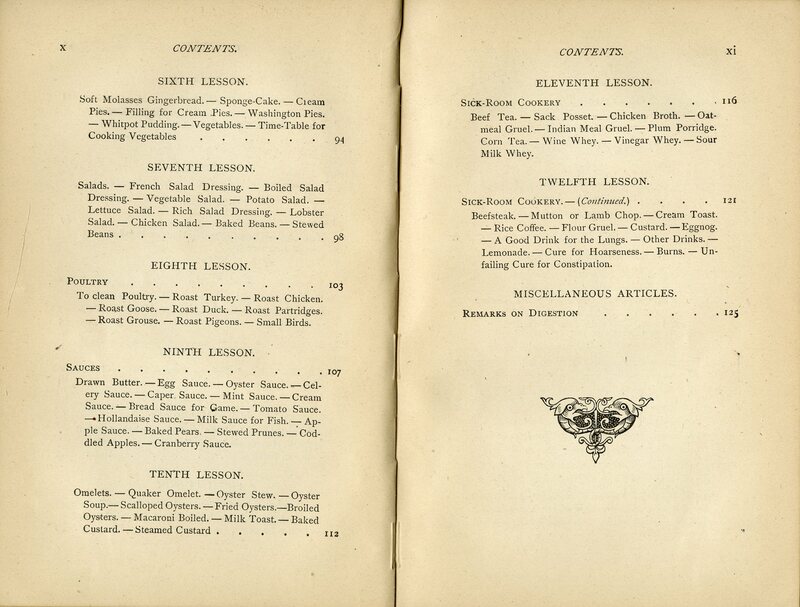 Plus, with all the expected recipes, we find a wide variety of the unexpected: directions for vegetable dishes like cardoons; the use of “Edible Weeds” (common and uncommon herbs); surprisingly “luxury” foods like coconut or oysters (depending on where on lived); and even some remedies whose roots are more on the “home” than professional side, like “Irish Moss Water.” In short, Mrs. Rorer’s Diet for the Sick… is one diverse household manual, designed to prepare anyone providing home care to an ill family member. The Negroni is a cocktail, like many, with a somewhat uncertain origin, though it most likely was invented in Italy in the 1910s or 1920s. While you can find all kinds of variants with different names that have developed since then (much like the Martini’s many, many variations), the classic Negroni is simple: 1/3 gin, 1/3 sweet vermouth, and 1/3 Campari. For the moment, we’re interested in Campari…sort of. Campari is an herbal-and-fruit-based liqueur made in Italy. In other words, it’s a type of bitters. Bitters are basically botanicals pickled in water and alcohol used in small quantities to flavor cocktails. (The origin story and history of bitters are far more complex, but those are topics for another blog post.) As a cocktail ingredient, there used to be a few specific brands that were common, including the Angostura bitters you can still buy today. The rise of the craft cocktail in the last decade has led to flavors of bitters just about anyone can dream up (I can speak from personal experience, having made a few batches myself). However, it’s Angostura bitters we’re featuring this week. 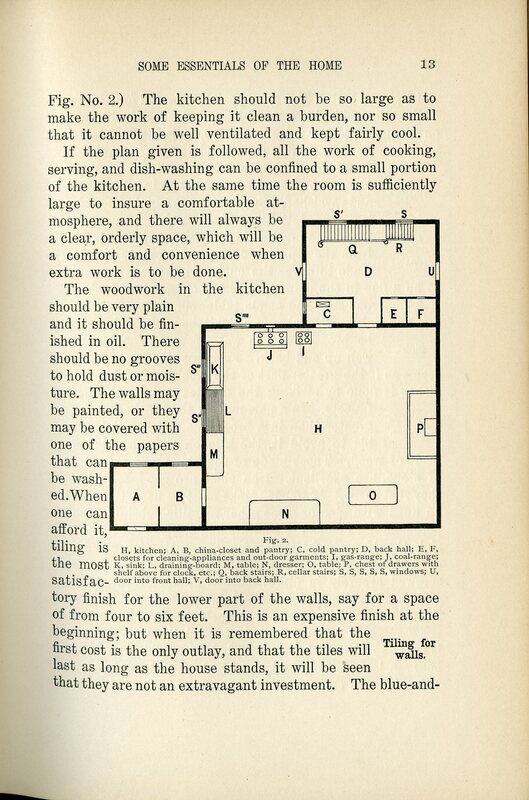 Our copy of For Home Use is from 1937, and the publication was already in its 8th edition at that point. Angostura Bitters, originally called “Aromatic Bitters” by their creator Dr. Johann Siegert, were first sold in 1824, though they wouldn’t exported beyond South America until 1830. 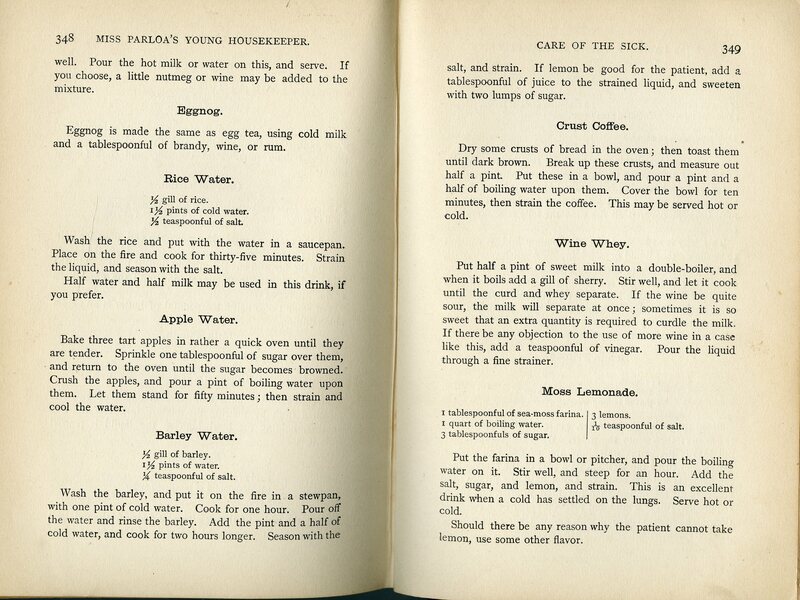 From the book’s own pages, you’ll see that like others, Angostura bitters weren’t intended to be a cocktail ingredient (they predate the cocktail by a long shot–pun intended). 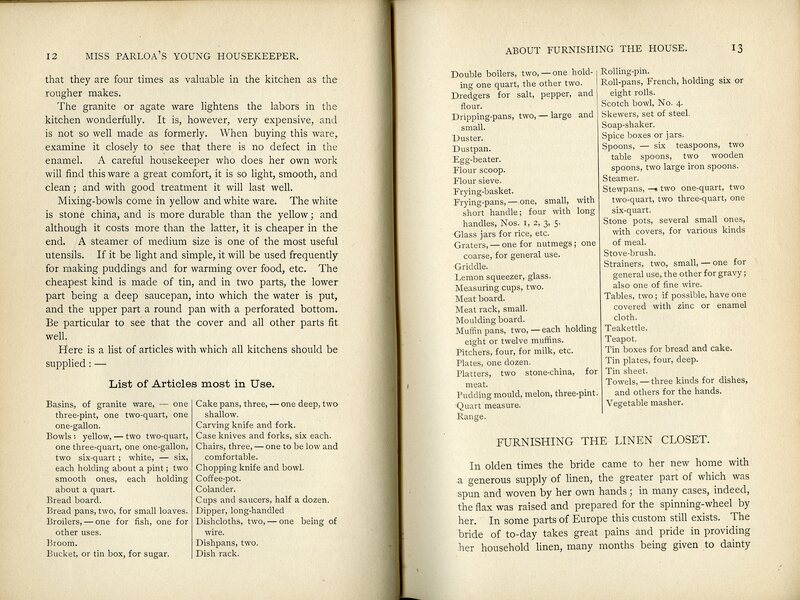 Toward the end of the publication, there are two pages of “Healthful Hints,” which take bitters into another part of the domestic sphere. The root of bitters (another pun intended) comes from more medicinal angle. 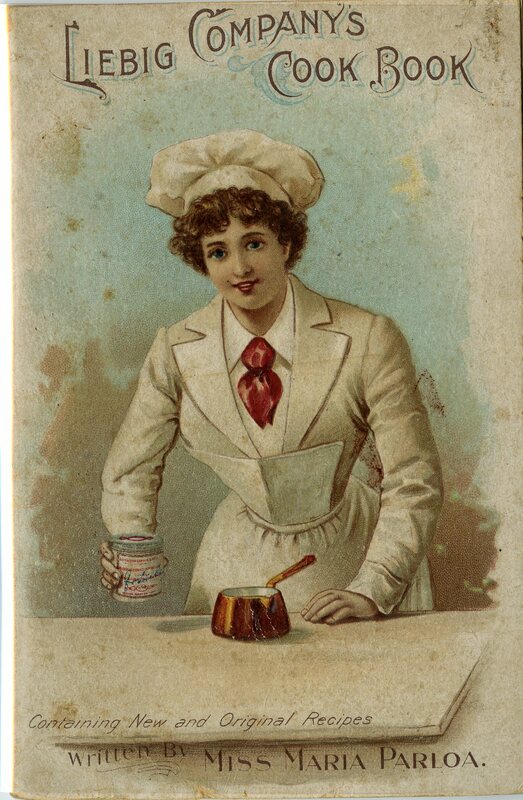 One branch of the bitters evolution went in the direction of patent medicines, “cure-alls,” and the like, which were popularized in the 19th and early 20th century. But it didn’t stop there. From the cocktail glass to the dessert glass and from the soup bowl to punch bowl, Angostura bitters continue to be a versatile ingredient today. Stay tuned for more about bitters, cocktails, and more in future posts. And, as always, if you’re in the neighborhood, pay us a visit. We love to share everything on our cocktail shelves, from Angostura bitters to recipes for Zombies.